The one-day Explore Offsite Housing conference and exhibition in March will showcase the latest offsite construction solutions, bringing together industry leaders and pioneers to discuss the housing crisis and the change needed to deliver much larger volumes of new homes. The issues surrounding Brexit may have currently knocked the housing crisis off the top of the political and media agenda, but the problems are far from being resolved. The shortfall in housing stock is an emotive subject, which calls for a bold and radical approach to fundamentally change the way that projects are delivered. The ‘Building for Change’ report by the House of Lords Science and Technology Select Committee acknowledges that offsite construction techniques are now recognised as some of the most important solutions to many problems facing the UK construction industry today — particularly in the housing sector. 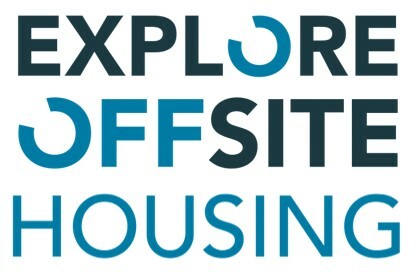 Featuring the Government Housing Minister, Explore Offsite Housing brings together offsite sector leaders, housing authorities and industry bodies to discuss the latest innovations in offsite technologies and the growing opportunities that the housing shortage presents. The seminar line-up will focus on a variety of approaches and initiatives together with in-depth analysis and discussions. The political landscape is shifting, and offsite industry pioneers have welcomed the Government’s commitment to changing its procurement models so that the public sector can procure for whole-life value rather than upfront cost. 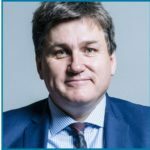 This, along with the Government’s ‘presumption in favour of offsite’ technologies across five departments — will provide an important signal to the construction sector that there will be a consistent pipeline of projects, allowing companies to invest in offsite manufacturing facilities with confidence. To gain insight from those who are shaping the future of the offsite housing sector, the Explore Offsite Housing conference and exhibition will demonstrate how migrating construction from the building site to a quality-controlled factory environment will accelerate the building process, increase productivity and create a new generation of high-quality housing stock. The alignment of market need and political will is clear and compelling — signalling a real opportunity for a step-change in the adoption of offsite construction methods. There is now a real impetus and need for change in the housebuilding industry. For those in the sector with fresh ideas and innovative technologies, the nationwide housing crisis has the potential to change the norm, which governs the ways new homes are built. With the resurgence of offsite construction, the industry is moving towards factory-based manufacturing methods and the continuous innovations within this sector are radically transforming the way that houses are being delivered. Taking place at the QEII in London on 27th March, the conference and exhibition provides an ideal opportunity for those involved in housebuilding to explore the latest offsite construction best practice and solutions. The event format provides a dynamic and interactive learning experience for all visitors through presentations and a wide array of exhibitors.